Thirteen days and counting until the release of Prelude! Today, I thought it’d be fun to recap a bit of Blue Notes history through David Somers’s eyes. David, as some of you may know, is the fictional conductor of the Chicago Symphony Orchestra who appears in all of the Blue Notes Series books. Prelude is just that: a prelude to the other books in the series since it takes place before all of the other books. For those of you who know David from the other books, Prelude will give you insight into how David became the man you’ve already met. For those of you who are starting the series with Prelude, the story will be an introduction to some of the other characters who appear in the series. the Rolling Stones, David isn’t the same man. He’s inwardly insecure, terribly lonely (although he’d never admit it), and dreaming of composing the music he hears in his mind. We first meet David in the original Blue Notes book at a party held by Jason Greene’s sister, Rosalie, at her Milan apartment. David, it turns out, was Jason’s college roommate at University of Michigan. The next time we meet David is in The Melody Thief. David is cellist Cary Redding’s mentor and friend. David is also friends with a certain Italian entertainment lawyer who rescues Cary from a couple of street thugs: Antonio Bianchi. Antonio handles David’s European contracts. David also appears in Aria. When opera singer Aiden Lind’s boyfriend cheats on him, Aiden comes to stay at David’s London apartment. David also conducts Aiden in his Covent Garden debut as Don Giovanni in the Mozart opera by the same name. When Aiden struggles in his relationship with lawyer Sam Ryan, who hasn’t quite gotten over the death of his longtime partner, David shares his own personal grief over the death of his wife, Helena. But David’s role as mentor and friend to these other characters is only possible because of the connection he forges with Alex Bishop. Alex helps David face his fears and find the strength to move forward in his life. You can find all of the Blue Notes Series books at Dreamspinner Press, Amazon, Barnes & Noble, AllRomanceEbooks, and other outlets. Prelude is now available for pre-order from Dreamspinner Press! Release day is Monday, May 6th. Want to read an excerpt from one or all of the books? Click on the “My Books” link and then on the “More” tab. Then just scroll down to the “Excerpt” tab. 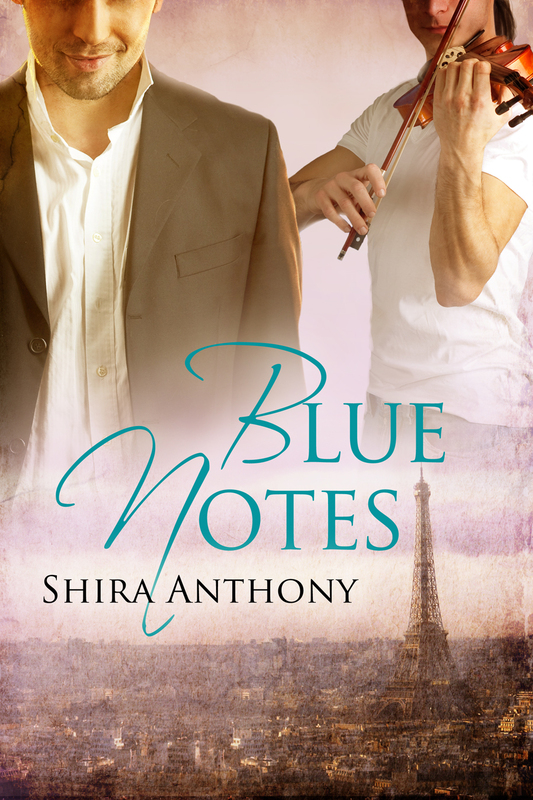 You’ll also find the playlists for the Blue Notes books there! I guess it is a bit of a prequel to “Prelude.” “Encore” has a few scenes in it that are referred to in “Prelude” and one in particular that is rewritten from a different POV (a very important one in “Encore,” less so in “Prelude”). That was one of my favorite scenes ever to write!